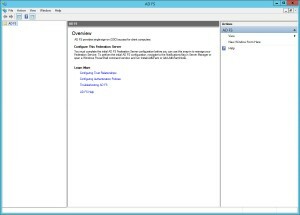 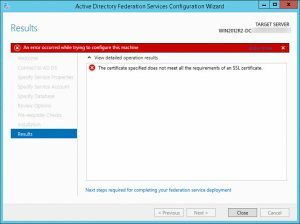 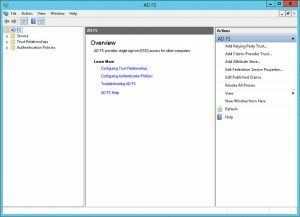 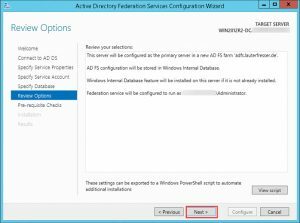 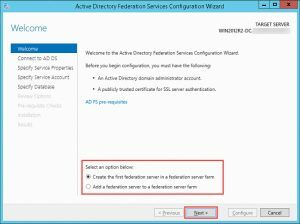 I had quite some trouble installing and configuring AD FS 3.0 on a Windows Server 2012 R2 with a SQL Server 2005 Standard Edition server to store my Configuration DB in. 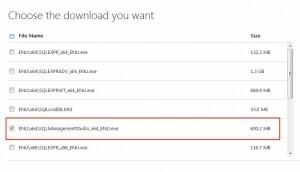 Therefore I wanted to share that information, hoping it might be useful to others as well. 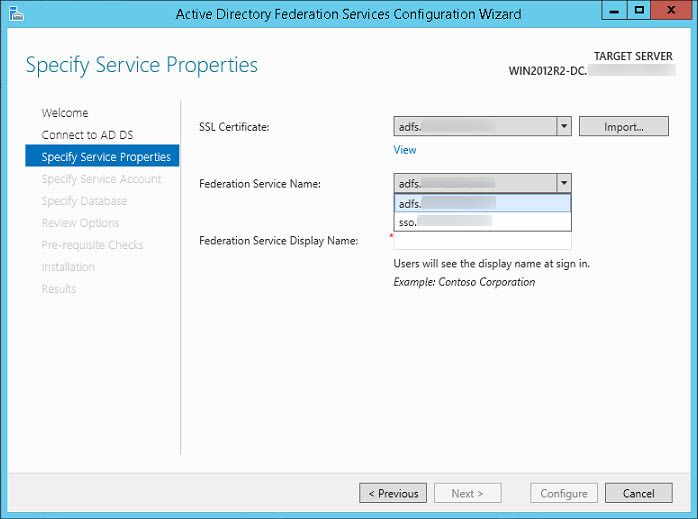 Subject name and subject alternative name (SAN) must contain your federation service name, such as adfs.domain.com. 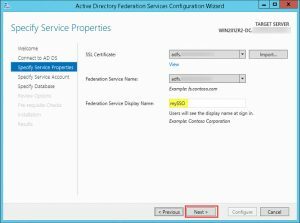 Subject alternative name (SAN) must contain the value enterpriseregistration followed by the UPN suffix of your organization, such as, for example, enterpriseregistration.domain.com. 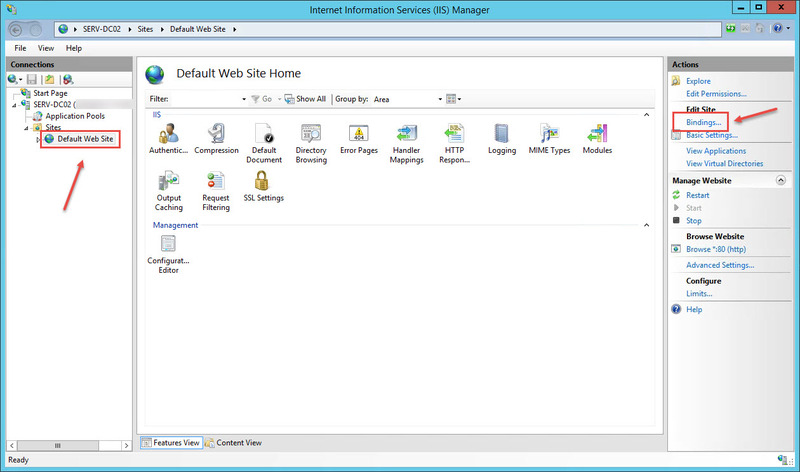 Open Internet Information Services (IIS) Manager console. 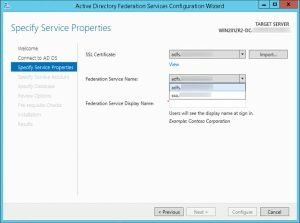 Click Server Certificates in the middle pane. Then click Import in the right Actions pane. Browse to your corresponding Server Certificate (must be in pfx file format and thus include a private key), provide the Private Key’s password and click OK. 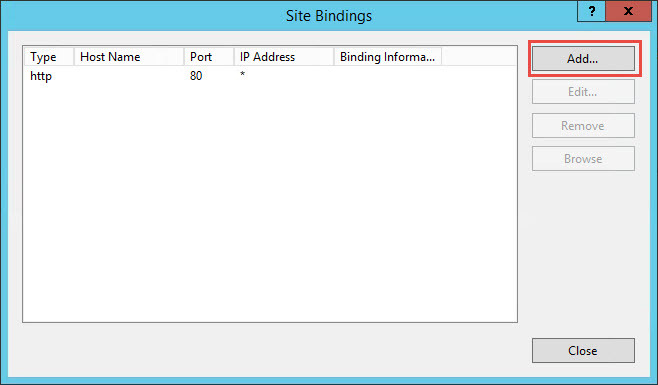 The newly imported Server Certificate should now be available for the subsequent https binding. 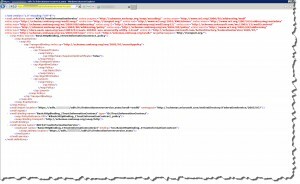 Expand your Server node, drill down to your Default Web Site node and highlight it. 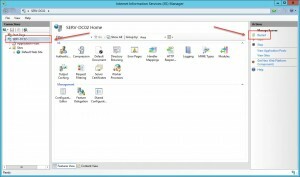 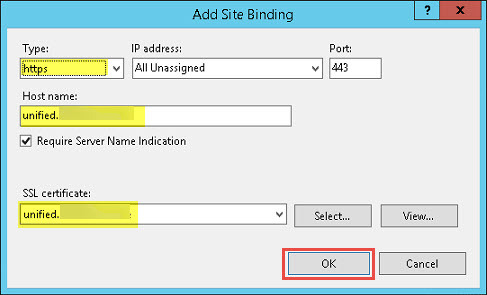 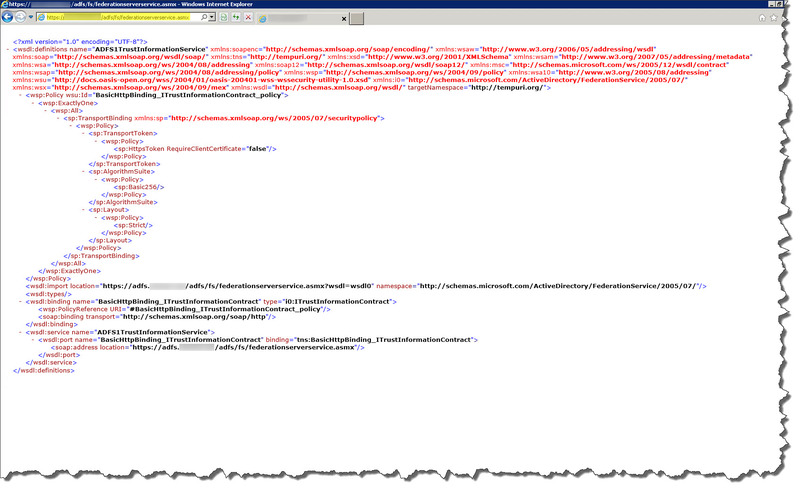 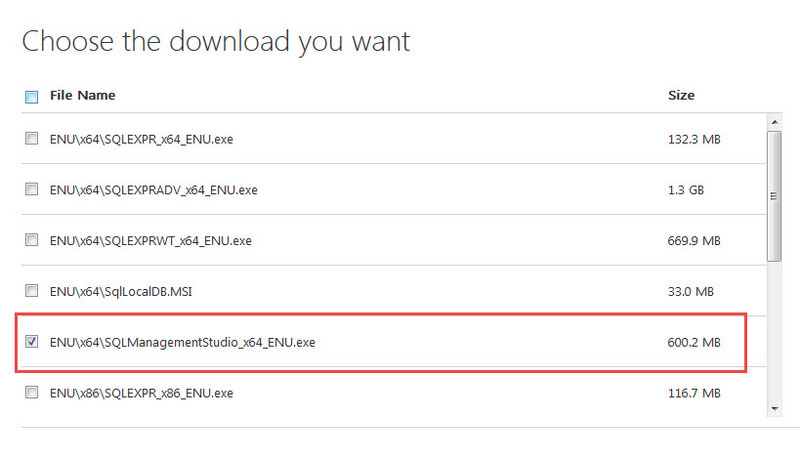 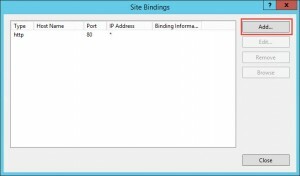 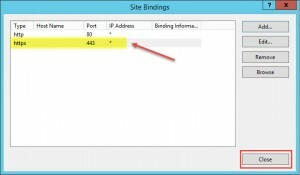 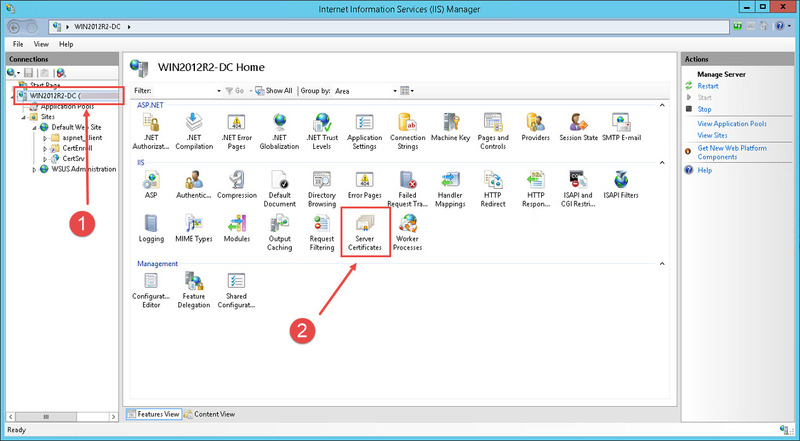 Keep in mind that IIS 8.5 supports Server Name Indication (SNI), i.e. 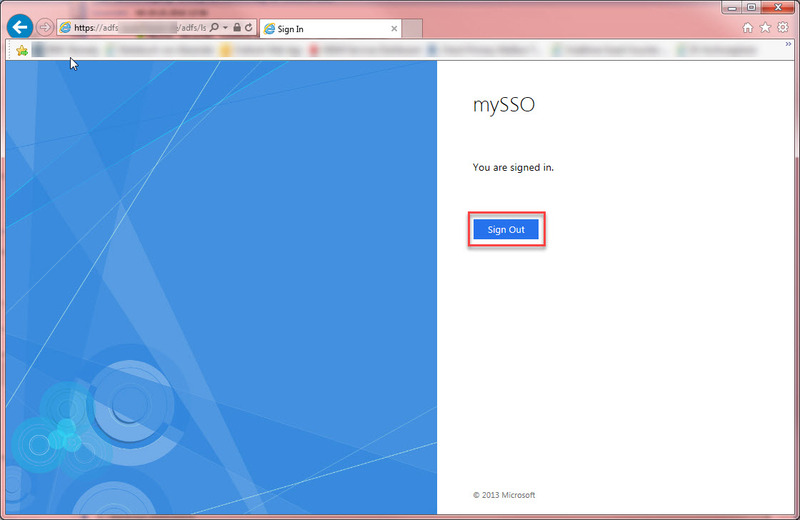 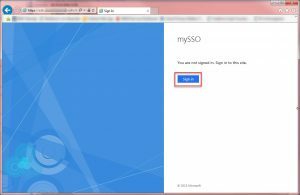 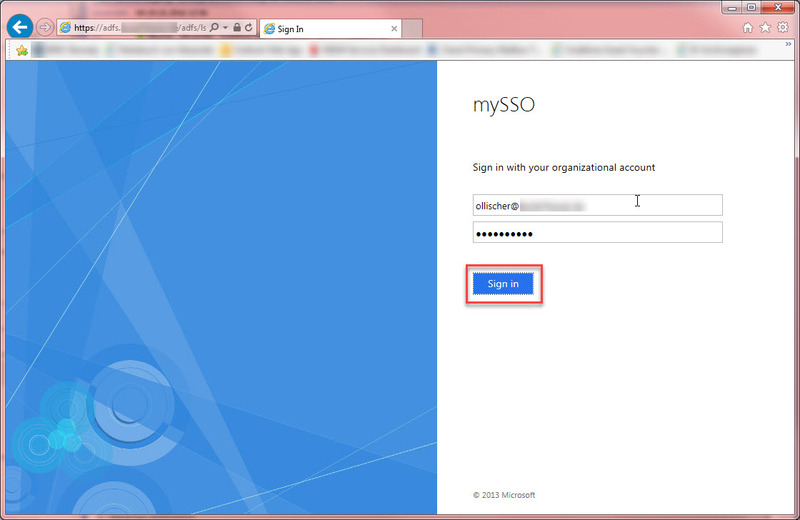 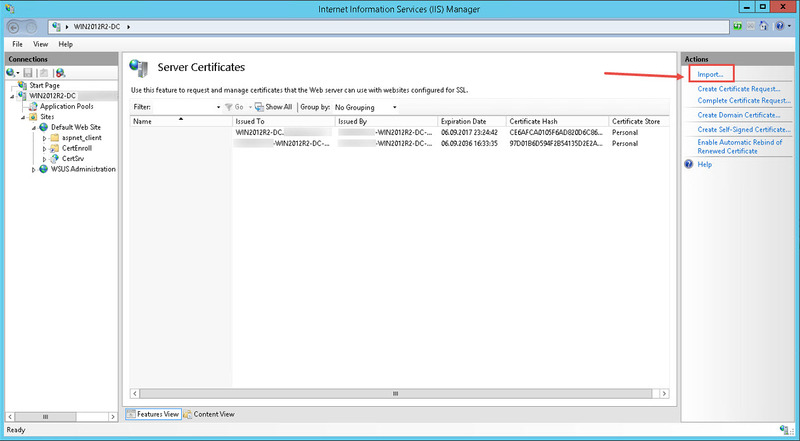 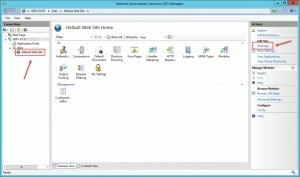 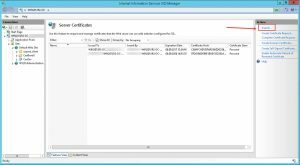 it allows you to install multiple SSL certificates on Microsoft IIS 8.5. 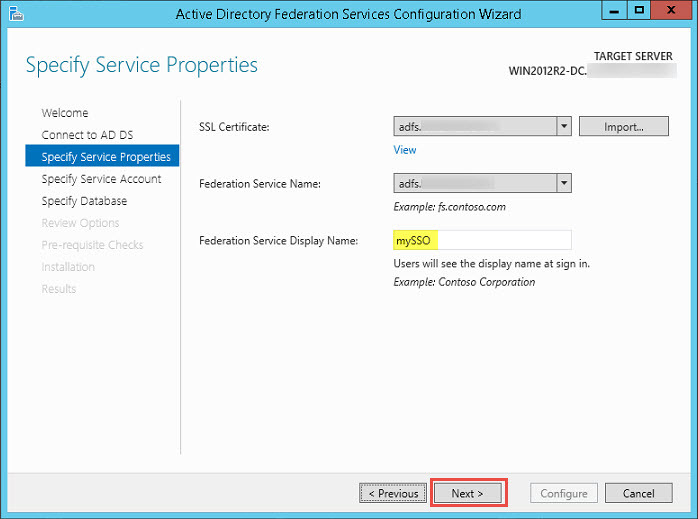 In case you missed a certain SAN on the Server Certificate you are now able to add/change FQDNs even afterwards. 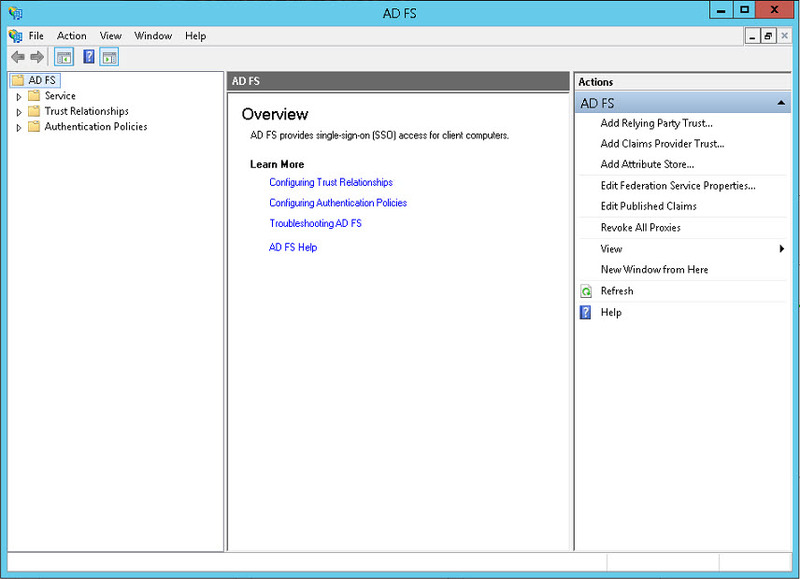 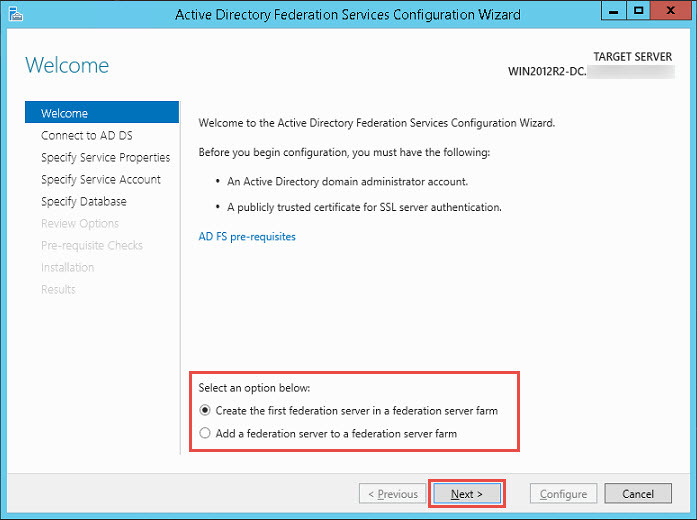 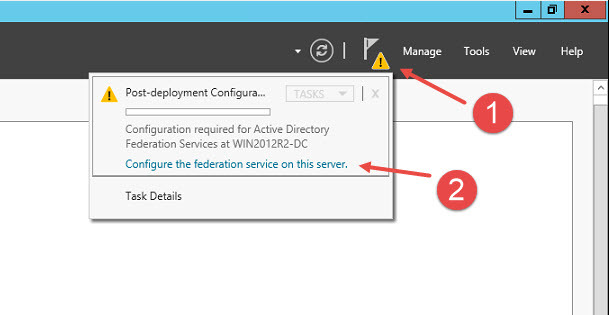 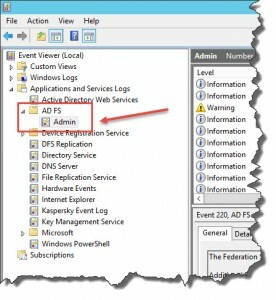 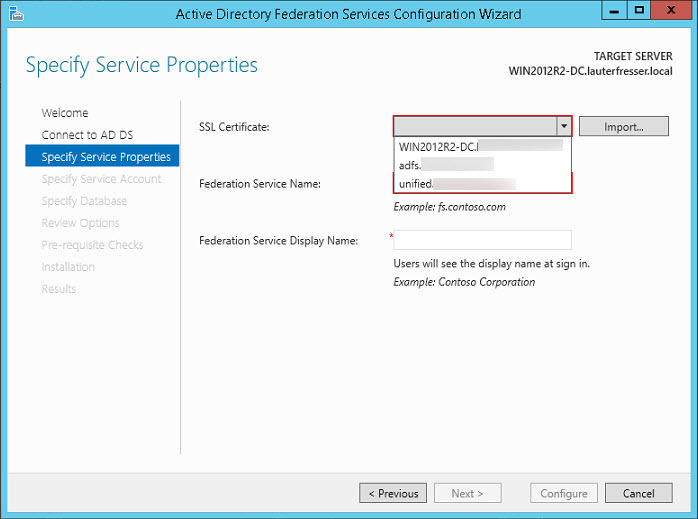 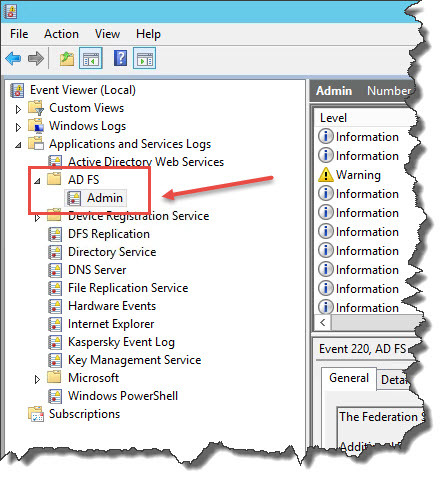 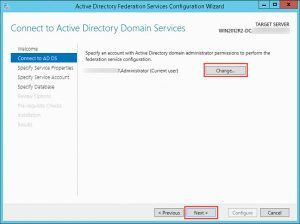 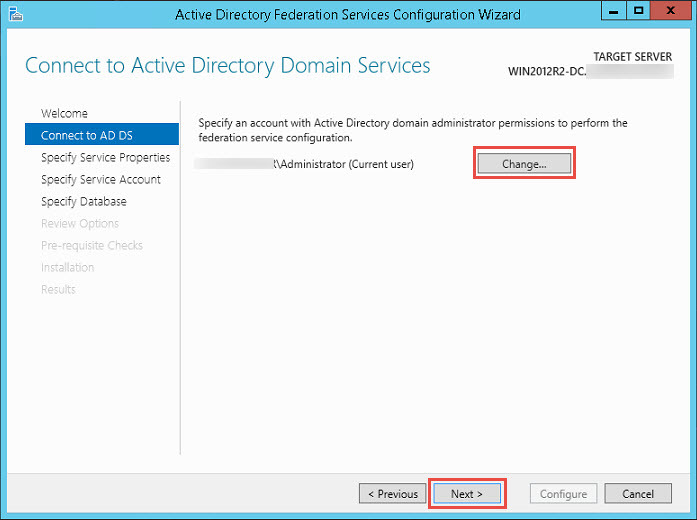 Check out Federation with ADFS 3.0 and SNI Support for further details. 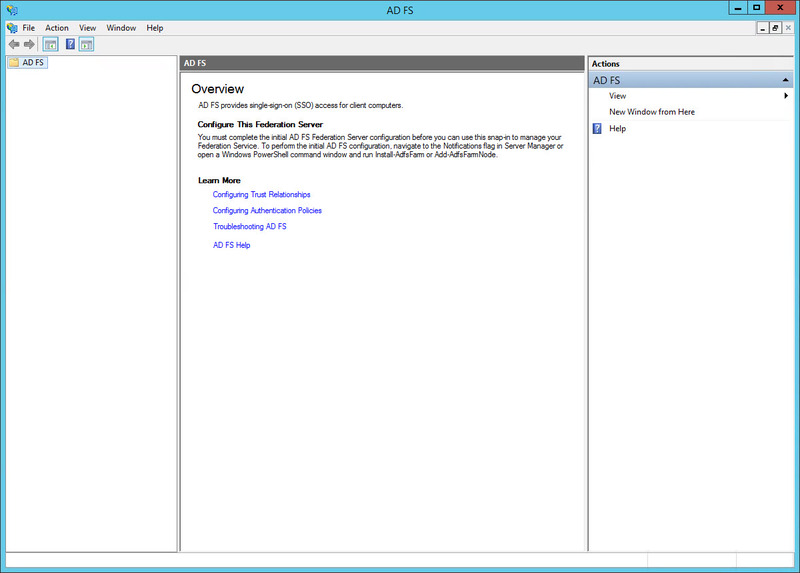 Basic setup is now complete. -SQLConnectionString:"Data Source=SERV-DB;Initial Catalog=ADFSConfiguration;Integrated Security=True;Min Pool Size=20"
#1 Issue: After clicking Finish during the initial Configuration Wizard process I received an error stating "The Certificate specified does not meet all the requirements of an SSL Certificate." 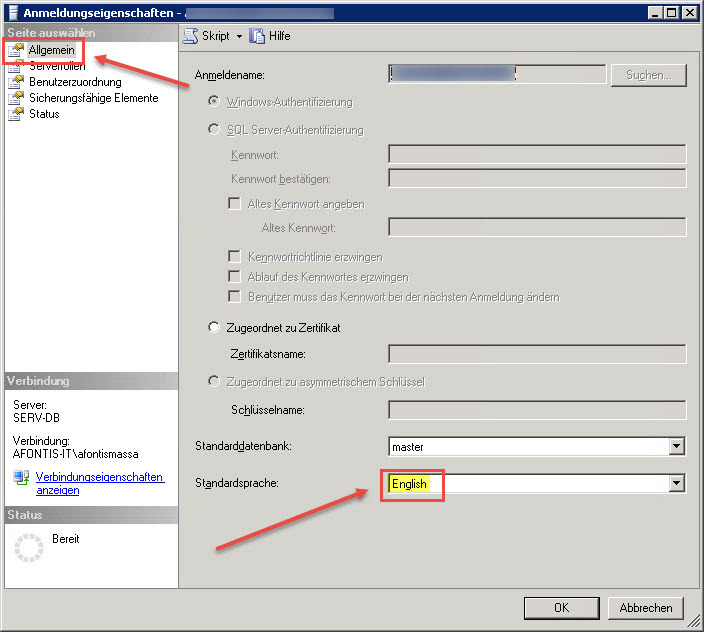 #1.1 Problem: Subject alternative name (SAN) value of enterpriseregistration was missing. 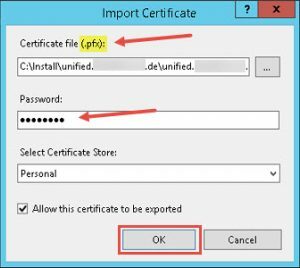 #1.2 Problem: Subject alternative name (SAN) value of enterpriseregistration was included, but certificate was imported using IIS. A subsequent https Binding on the Default Web Site was not possible due to an error A specified logon session does not exist. It may already have been terminated. 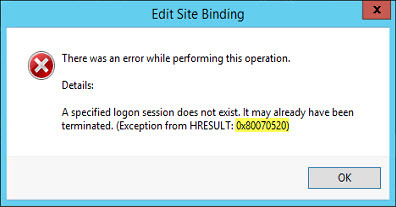 (Exception from HRESULT: 0x80070520. 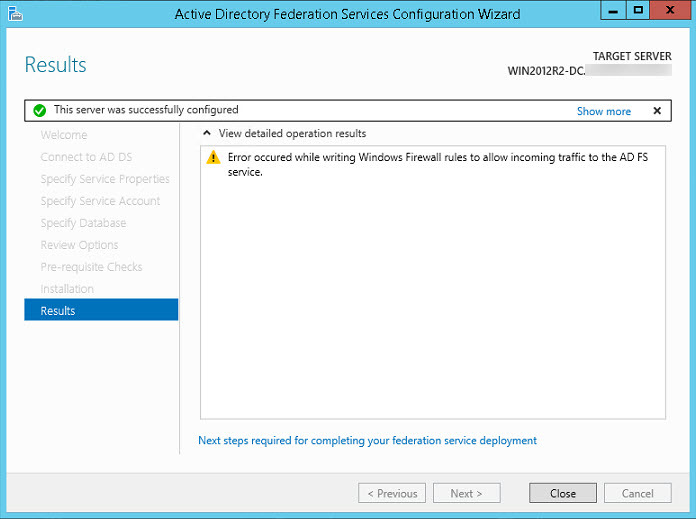 #2 Issue: Upon finishing the initial Configuration Wizard I received a warning "Error occured while writing Windows Firewall rules to allow incoming traffic to the AD FS service." 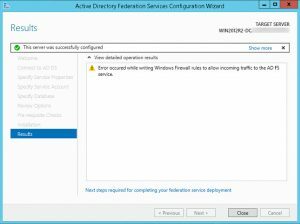 #2 Solution: I simply checked that AD FS is reachable for incoming traffic on port 443 from within my network as well as from external networks. 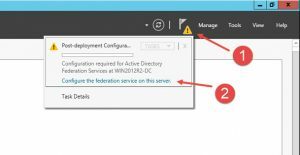 Keep in mind that your Firewall/Load Balancer/NetScaler settings have to be adjusted accordingly (pls read Prepare your network infrastructure for federation servers as well). 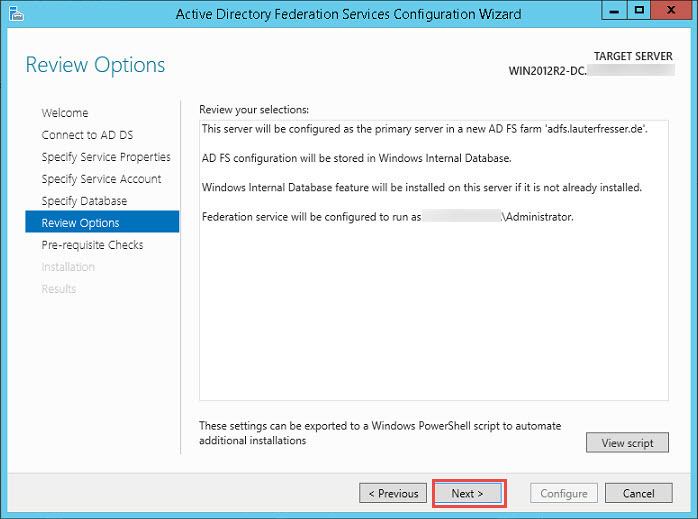 Afterwards run gpupdate /force in an elevated command prompt on the appropiate machine for these changes to take effect. 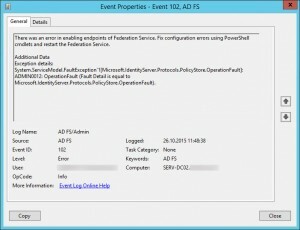 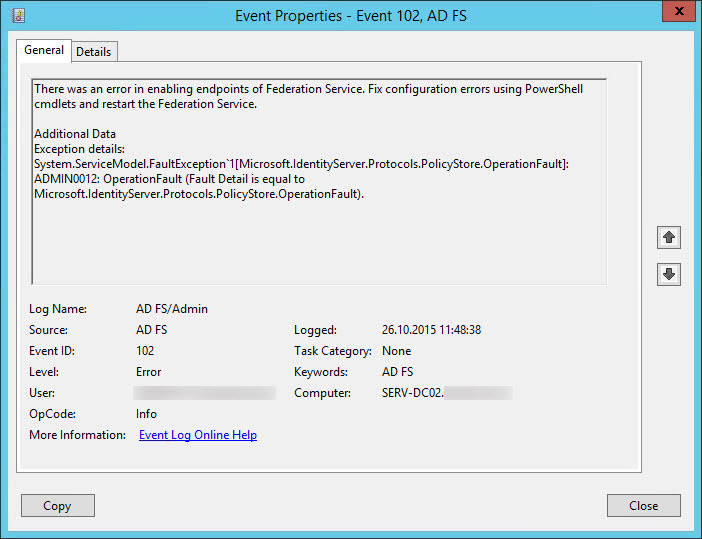 System.ServiceModel.FaultException1[Microsoft.IdentityServer.Protocols.PolicyStore.OperationFault]: ADMIN0012: OperationFault (Fault Detail is equal to Microsoft.IdentityServer.Protocols.PolicyStore.OperationFault). 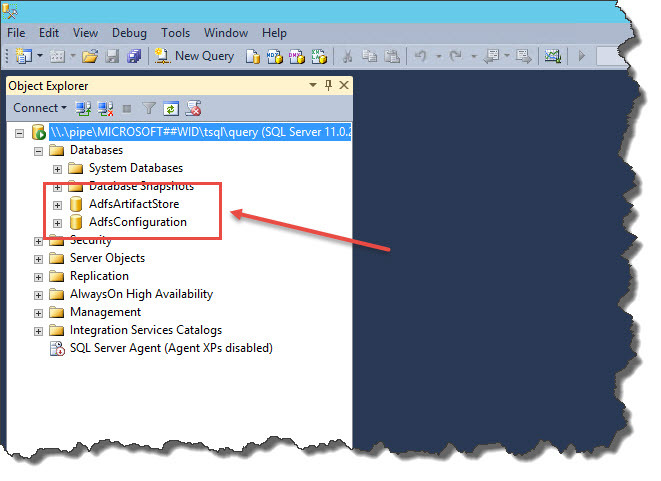 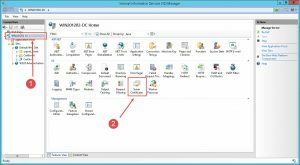 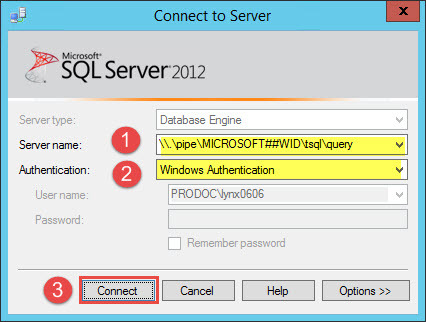 If you are using SQL as the configuration store you need to check the Default Language of the user connecting to the ADFS SQL configuration DB and be sure that is set to English. 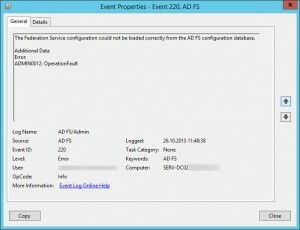 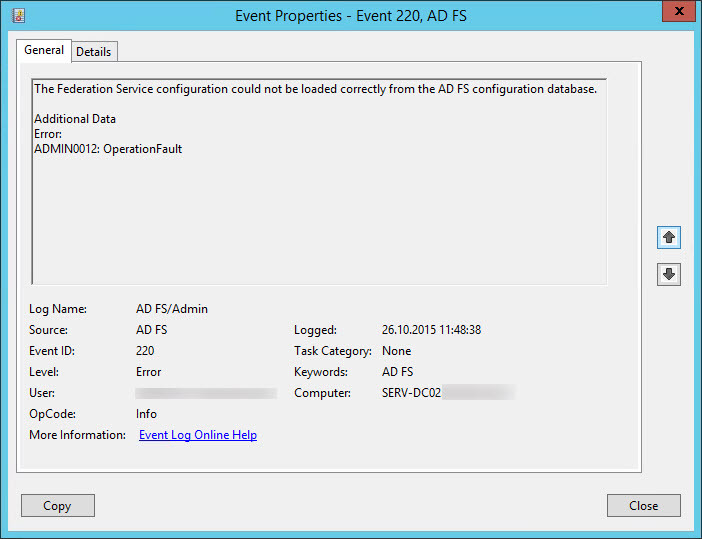 ADFS and SQL are both 2012 R2.